Spec-4 Jones "rubs it in". 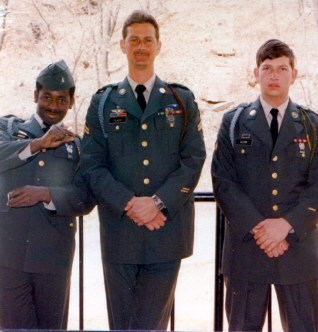 Spec4 Jones (left) had only 15 days left in Korea at the time of this picture. Cpl Lablance and Spec4 Glen can't say as much...Or rather, "As Little"